Ah, giraffes. I don’t think there’s a living, breathing human out there who’s not the least bit familiar with them. I mean, sure, plenty of us just look at these long-necked wonders and go “Ooh!” without bothering to find out any more trivial facts about them. 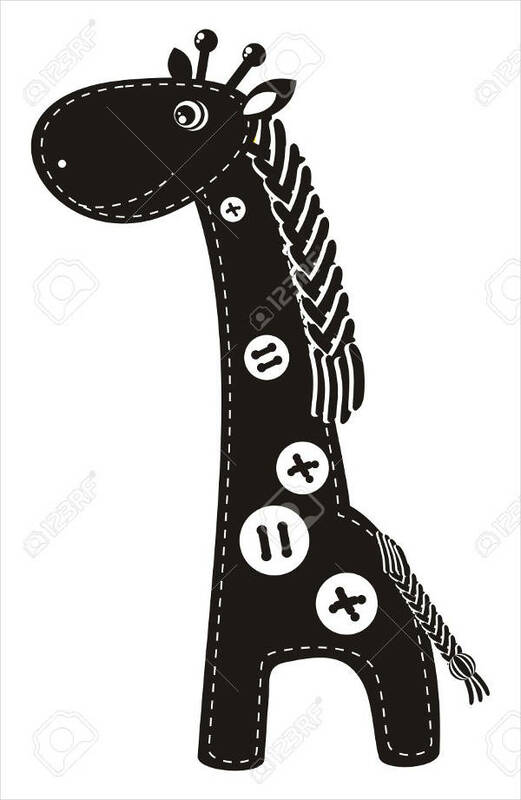 But even as early as our toddler days, we’ve known of giraffes as we were learning the alphabet. But all that aside, we can truly say that giraffes are something, all right. Prepare to see these creatures in a different light in this collection of 8+ beautiful giraffe silhouettes! These Free Silhouette Designs come in JPG, Vector EPS, AI Illustrator, SVG, TIFF, etc. formats—perfect for when you decide to include them in a few projects or so. With silhouettes, there’s a number of limitations here and there especially regarding how the subject matter is being depicted. 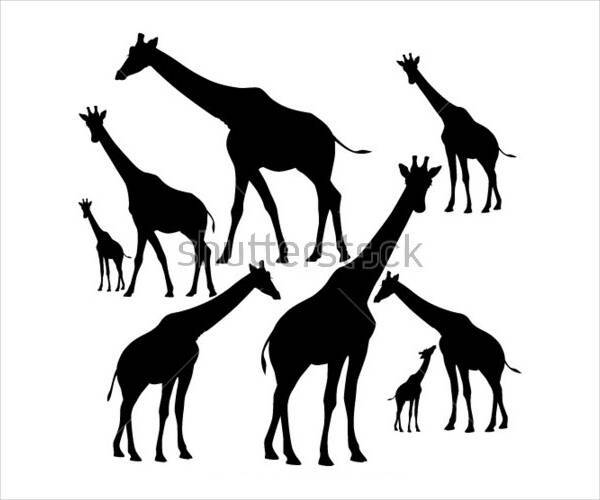 You might think that there’s not much for you in this collection of giraffe silhouettes. 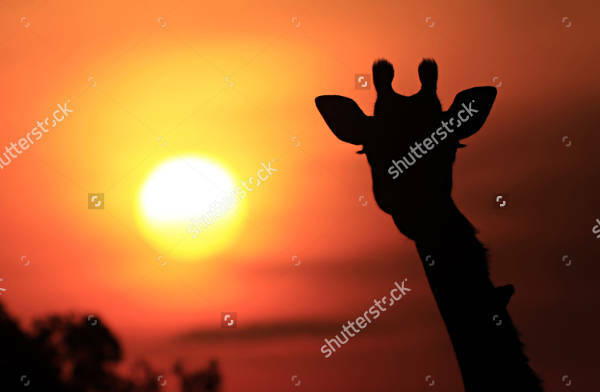 But if you look closer and check out the rather lengthy talk-through below, you’ll find that there’s actually a bit of a variety in the designs of these giraffe silhouettes (as with these Animal Silhouettes). 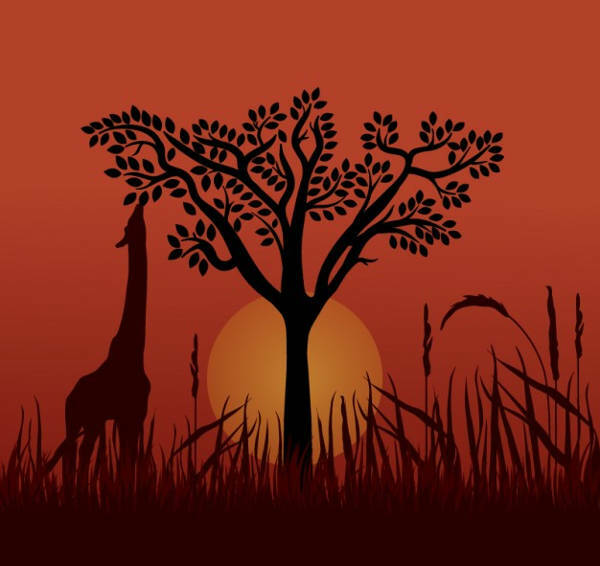 In “Giraffe Sunset Silhouette,” “Giraffe and Tree Silhouettes,” and “Free Giraffe Silhouette,” you can see both the giraffe silhouettes and the red-orange-yellow backdrop in beautiful, artsy-fartsy harmony; and everything just makes sense. “Cartoon Giraffe Silhouette” looks like a wonderful mashup between a cutesy cartoon giraffe silhouette and the cabbage patch kids or lalaloopsy dolls. 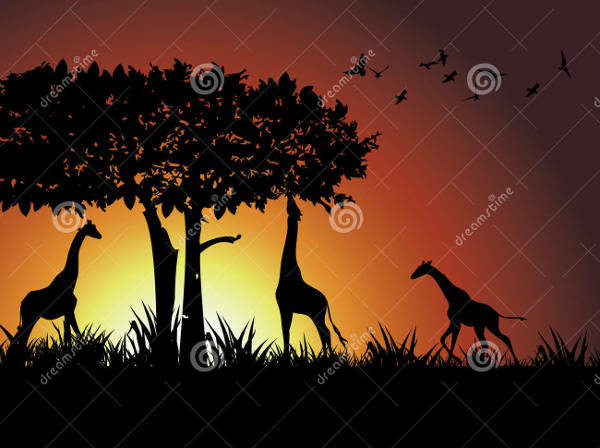 The magic of layered graphics to create space via foreground, middle ground, and background is again featured in “Giraffe Vector Silhouettes.” Also, you gotta appreciate how the artist tried to preserve authenticity by making the backdrop as similar as possible to the giraffe’s actual habitat (see how the color selection kept to yellows and browns?). By now, I think you’ll simply nod along when I say that the variety of designs in this collection of giraffe silhouettes is unquestionable. (The same goes for these Horse Silhouettes, of course, right?) And given this said variety, it’s pretty easy to be artistically inspired and think of several creative ways to use each giraffe silhouette. I mean, we’ve even come up with some of our own! When you’re a graphic designer, an illustrator, or a student for either field of expertise, it’s sometimes hard to get a handle on all the projects and plates you have to hand in. You wanna submit quality work, of course, but you could use some help. 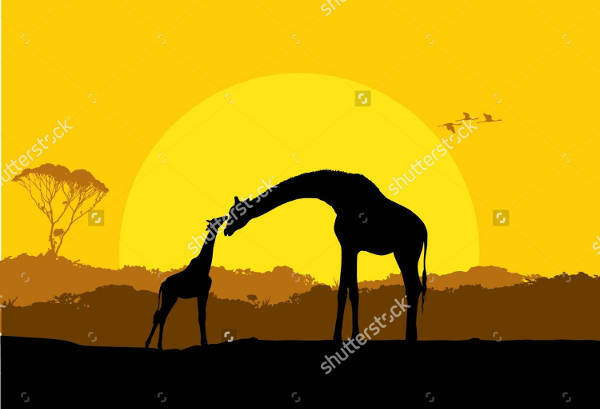 Perhaps with these giraffe silhouette vectors, you can have that help; and you won’t even have to worry about impairing the image quality of these time savers! 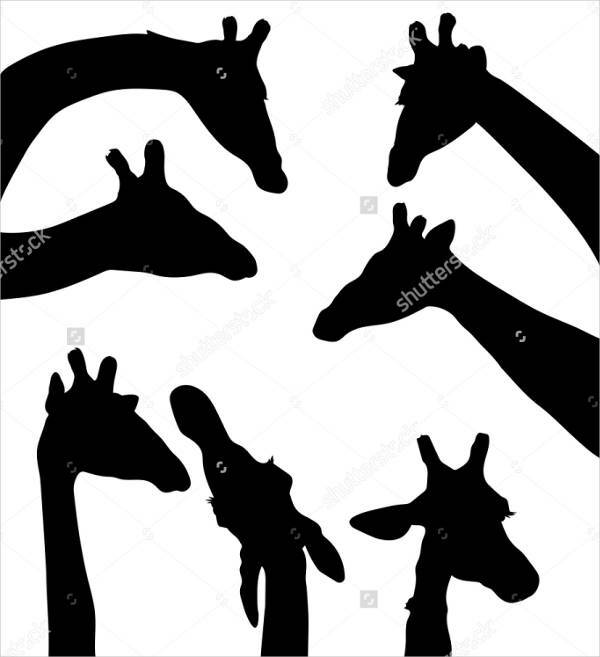 Use any single one of these giraffe silhouettes as scrapbooking material and crafty cutouts for a whole slew of your personal projects. Need a more clever way to thank your parents for being the awesome human beings that they are for tolerating the crap you gave them all these years? 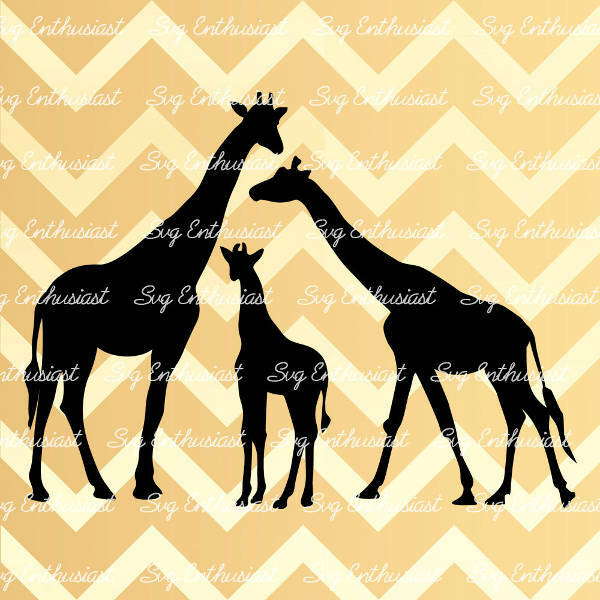 You can print “Giraffe Vector Silhouettes” and “Printable Giraffe Silhouettes” onto some fancy paper, and you got yourself a card! Your options and our suggestions covered, now you just have to download!